Hybrid Cloud Environment : Is it a Good Approach to Adapt ? The Customize Windows > Computer and Internet > Cloud Computing > Hybrid Cloud Environment : Is it a Good Approach to Adapt ? Hybrid Cloud Environments might appear as something logically consistent, but the architecture solution should necessarily be taken into account, which is an entirely different from being real. We discussed about Hybrid Cloud Computing in detail before, but we have not covered the practical part of adapting the Hybrid Cloud Environment. The latency of Hybrid Cloud Environment often is not sufficiently taken into account to be an issue on performance. In relation to the amount of huge data need to be moved, historically gives to issues related to bandwidth. Knowing the bandwidth is certainly important, but not sufficient. Latency is the time between a request for data and its delivery, it is the sum of the delays of each component that adds that request. As it applies to each byte or packet that travels through a system, latency is as important as the bandwidth, but often in the performance specifications we hear only of the latter. By definition a Hybrid Cloud can be used to cut oneself from the underlying physical resources such as location. Abstraction can be profitable and mask the underlying complexity and in many ways the history of the entire computer is constructed by adding increasing levels of abstraction. The difficulty with these abstractions is that, the aspects of a hidden complexity may be relevant to the infrastructure, such as where the data is stored instead of where they are processed. Two factors accentuate this potential problem. The first is that the hybrid cloud resources can include both public and on-premise computing resource. There is a big difference between how much data can be transferred and how quickly they can be accessed over the network to a data center internal or external via the public network. Moreover, with the increasing interest placed on Big Data, we are talking about potentially large volumes of data used for analysis and simulation. These issues lead to the need of mechanisms in the hybrid cloud that control the provisioning of the workload and data. The policy controls are required for many reasons in a hybrid cloud. Data privacy and other regulatory requirements may limit where the data can be stored, legally. Furthermore, the storage cost depends on the location. Basically the ability for administrators to configure policies is what makes it possible for the organizations to build a cloud of heterogeneous resources while maintaining IT control. Most importantly, with the advent of OpenStack, where the Bare Metal can be easily integrated in Private Cloud as well as a part of Private Cloud can be exposed as needed for Public usage through browser, the adaption of complex structure of Hybrid Cloud can be a questionable step today. This Article Has Been Shared 4823 Times! 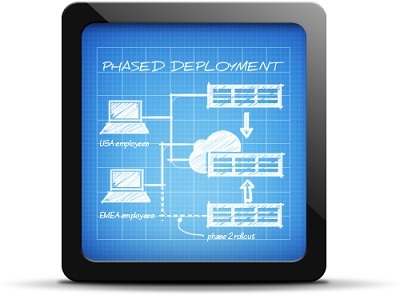 Articles Related to Hybrid Cloud Environment : Is it a Good Approach to Adapt ? Cloud Computing – SaaS, PaaS, IaaS : what are these terms? Cloud Computing and SaaS, PaaS, IaaS are misty to most users. What these SaaS, PaaS and Laas means? How they Works? Cloud Computing on the Desktop is relatively unknown and newer technology in Cloud Computing field. The Author has focused on how Desktop as a Service (DaaS) works in very lucid language. Cloud Computing For Dummies is a basic article on Cloud Computing for beginners explaining the terms in simple language for ordinary users and companies. Title: Hybrid Cloud Environment : Is it a Good Approach to Adapt ? Cite this article as: Abhishek Ghosh, "Hybrid Cloud Environment : Is it a Good Approach to Adapt ?," in The Customize Windows, October 5, 2012, April 23, 2019, https://thecustomizewindows.com/2012/10/hybrid-cloud-environment-is-it-a-good-approach-to-adapt/.